I would give myself a B+. I think I did really good with #1 through my uptake of film. I still need to do more for #2. I studied but not at the level I meant when I set this goal. A bit part of this goal was sorting out my Lightroom catalog which I made massive progress on. I definitely explored Japan more with my trip to Kyoto. It is taking me a while to get the route I want with this but I am happy with the progress over last year. I think for #5 is where I fell short. With everything else I had going on in my life I feel short in this area a couple of times. Tonight is a night for reflecting on the year and tomorrow I will set some new objectives for 2014. Film Shooters Collective - A very cool site promoting film photography. FilmWiki - A wiki on where to buy and develop film. You can support both by contributing and sharing. Every time I see this sign I read escape... hmmm. Look what my wife got me for my birthday yesterday. It's a mini Dave! Complete with a color correct camera strap and a ShootTokyo T-Shirt! Only someone who really loves me have taken the time and put the attention to detail on this. I love it. It's fantastic! I know we all love gear. I am running a photo contest over on my ShootTokyo Facebook page. The subject: your favorite camera. Go and submit yours and show us what you got! The photo with the most votes will win a ShootTokyo T-Shirt bundle. And that is my new Hasselblad 501CM. I love buying cameras in Tokyo. I don't think this camera ever left its box. It looks brand new! 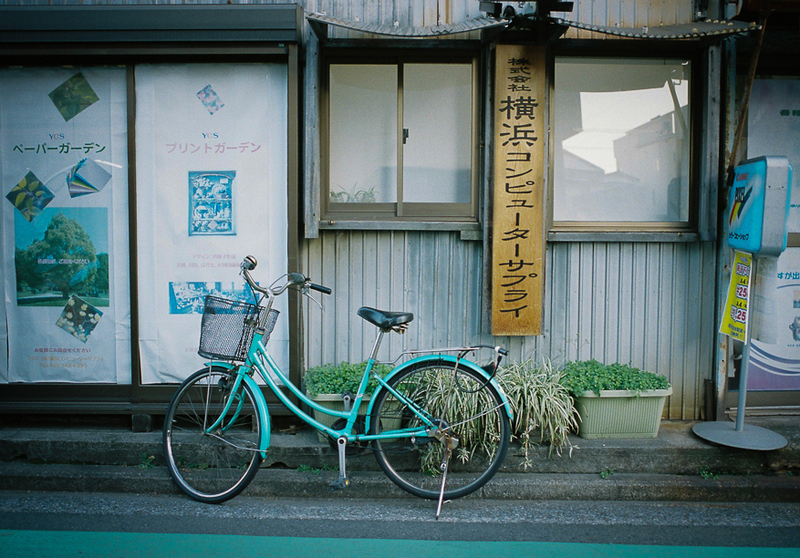 In case you missed in I launched my new ShootTokyo Portfolio and Print Shop. I finally pulled together my best images into a single collection for you to view and enjoy. I also selected a set of images that are available as prints. I am so happy to say that in the first two days I sold two prints! It is such a great feeling as a photographer to know someone likes your work enough that they want to buy it and hang on up. Thank You to those who ordered. If you are interested; please check out my prints for sale or just feel free to browse my portfolio. Since I spent all that time cleaning up my images I took the time to update my 500px and Flickr accounts and installed the Lightroom Plugins. This makes sharing images a million times easier. It is just drag and drop sharing. It's fantastic. Don't forget you can read ShootTokyo on Feedly, Flipboard and Google Currents as well! However you choose to enjoy ShootTokyo I'm glad you do. Thanks for stopping by this year. See you next year!